Macron visits Nigerian music legend's Lagos nightclub - SABC News - Breaking news, special reports, world, business, sport coverage of all South African current events. Africa's news leader. 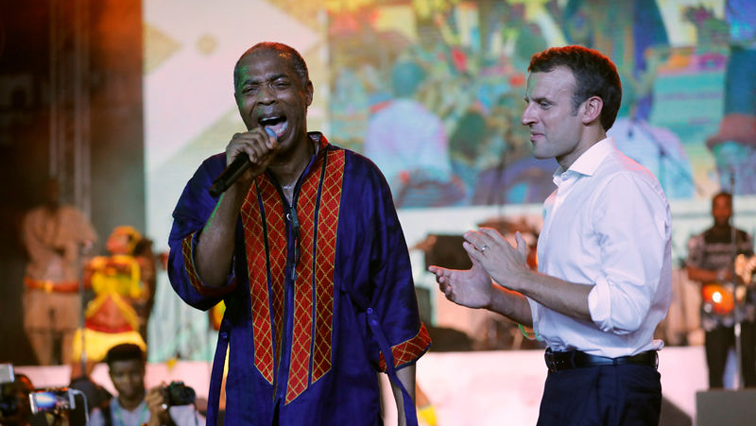 Emmanuel Macron visited a nightclub founded by legendary Nigerian Afrobeat star Fela Kuti. Emmanuel Macron arrived at the famous venue, the New Afrika Shrine, in the Nigerian city of Lagos, just hours after holding talks and a joint news conference with President Muhammadu Buhari in the capital, Abuja, at the start of a two-day visit to the West African country. The New Afrika Shrine replaced the famed original venue – created by Fela – which burned down in 1977. It is managed by the musician’s sons Femi and Seun who continue their father’s musical and cultural tradition. This entry was posted on 04 Jul 2018,06:46AM at 6:46 AM and is filed under Lifestyle, Homepage Latest Stories Slider. You can follow any responses to this entry through the RSS 2.0 feed. Both comments and pings are currently closed.